Some medical conditions are destined to be taken rather less seriously by everyone except the poor victim. Such is the case with Wesley Warren, whose predicament will invite every man with the slightest degree of empathy to wince. The title of the inevitable Channel 4 documentary on Warren and his condition sums up the problem pretty succinctly: "The Man With The 100lb Testicle." 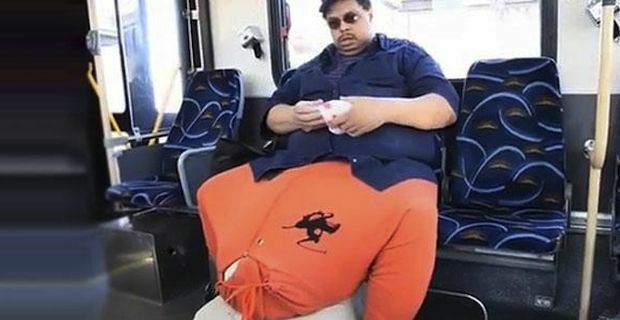 Warren suffers from a condition called scrotal lymphedema, resulting in one of his testicles growing to its seven stone enormity in under two years. This had understandable lifestyle repercussions for the 48 year-old from Las Vegas. He had to use a hoodie as underwear to support its weight. Surgeons have intervened to remove most of the testicle and allow Warren some quality of life. For Britons, the eye-watering story will undoubtedly conjure up the Viz comic character Buster Gonad and His Unfeasibly Large Testicles. In the States, the condition also seemed to provoke more comedic than medical interest. Warren and his appendage appeared on shock jock Howard Stern's show and on Comedy Central. The Channel 4 documentary, albeit saddled with its sensationalist title, promises to be a little more sensitive. Warren hopes that the operation will allow him to get on with a normal life. "My body is acclimatising," he said. "Enough cannot be said for the fans that helped me." Fans? Yes, it seems that the world's largest testicle attracted a fanbase of the prurient and voyeuristic, although they demonstrated understandable sympathy for Warren. "I'm still not able to get around much and enjoy driving or going to dinner," he said. "But I intend to make up for it and treat myself to a truly fabulous meal and enjoy relaxing for at least a few days. It's all part of the pathetic life one has to deal with trying to recuperate from such a devastating handicap."